The European Council reunion of December 15th, 2016, which was the first meeting hosting the new Italian Prime Minister Paolo Gentiloni, has been the occasion for European leaders to discuss a new common migration policy. Despite this, there still are deep divisions on the reform of the Dublin’s system of refugees reception and their relocation from Italy and Greece. However, the European Council announced newly signed agreements on the external dimension of a EU’s migration policy. 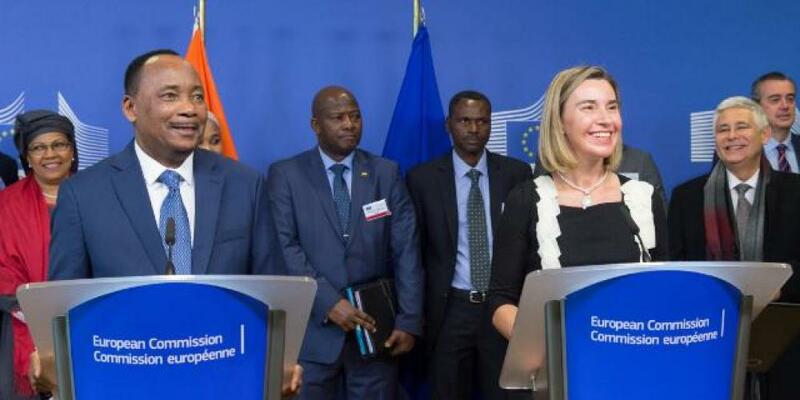 The European Union has deepened the cooperation with Niger, a country crossed by migratory routes from Western and Central Africa towards Libya and the the Mediterranean Sea. Niger is one of the main countries targeted by a new approach on migration developed during last year by the European Commission and it was the top beneficiary of the EU Emergency for Africa Trust Fund, launched after the 2015 Valletta summit in order to finance projects aimed at eradicating the root causes of migrations directly in African countries. The package of measures agreed on with Niger is constituted by different initiatives. First of all, the EU has announced actions for 470 million euros to support reforms and state-building in Niger: education, food security, sustainable agriculture, infrastructure, democratic governance and the rule of law. The day before the European Council reunited, three new Trust Fund projects were approved for an amount of 35 million euros. Thanks to these new initiatives, the projects financed by the Trust Fund in 2016 and dedicated specifically to Niger are now nine, receiving an overall funding of 139,9 million euros. Funds provided by the Trust Fund are particularly meaningful, due to their impact on the causes of migratory flows or support to institutions in African countries, which have to handle the growing number of migrants, also respecting their human rights.